Careers Sports and Games Ltd.
Want To Work At Sports & Games? Sports and Games is Trinidad & Tobago’s leading retailer of branded fitness equipment, athletic footwear, apparel and accessories. Sports and Games has become as popular as the brands it sells with much of our inventory being exclusive to Sports and Games and not found in any other stores. Starting in 1945 with one store on Chacon street, Sports and Games currently operates 10 stores throughout Trinidad & Tobago. Our stores, associates and managers reflect the fun and excitement of the active lifestyles of our customers. We continue to build one of the strongest teams in retailing! If you share our energy and desire to be the best, consider the great opportunities Sports and Games can offer you! 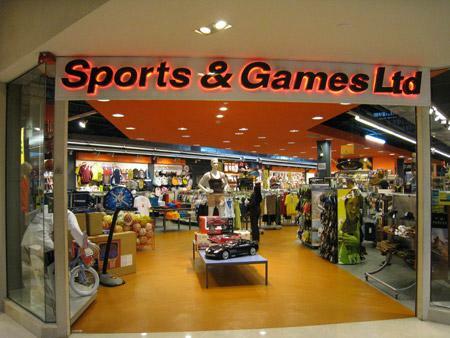 Sports & Games Ltd. offers great employment opportunities, with over 10 branches nationwide, there is always a need for vibrant and determined sales representatives to manage the shop floor of over 8000+ products. Monitoring and auditing all branch sales and other accounting functions.